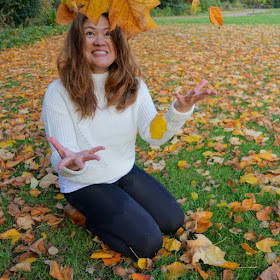 We need to eat healthy food to be mentally sane! That's what the words from Good Housekeeping magazine meant to me (see above). I am not sure about you but it took me a long while to appreciate fresh food as opposed to quick, instant ones. I'm glad I did. 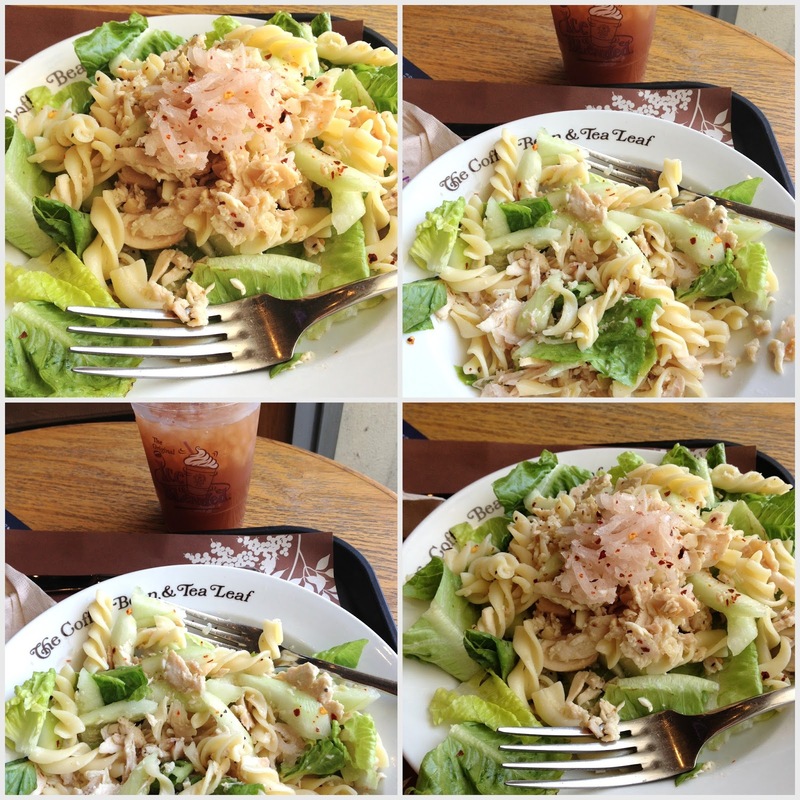 Twas my first time to try the salad at CBTL. 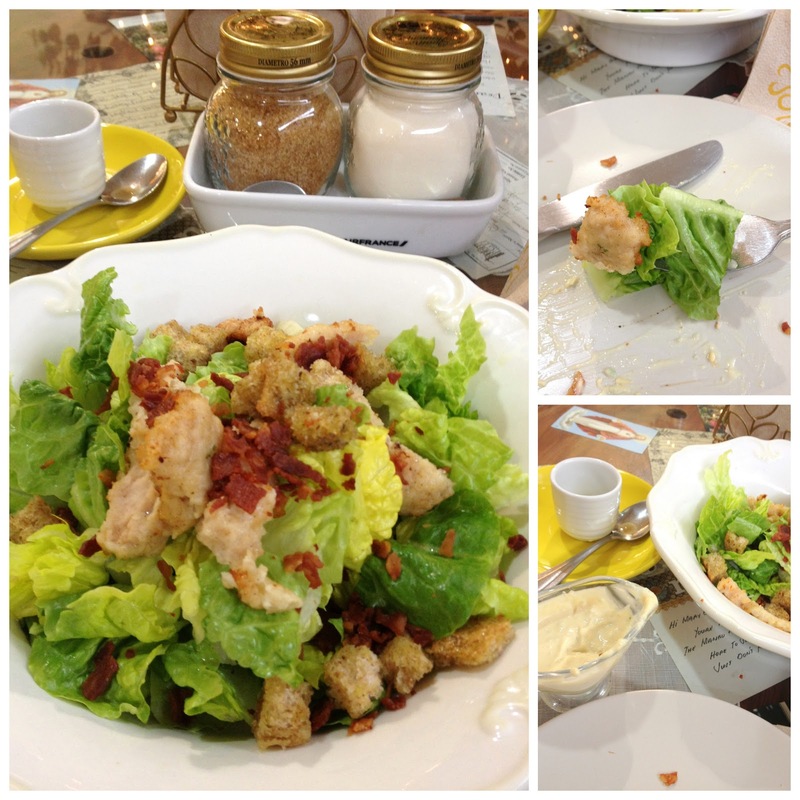 Ever my favorite coffee hub, I embarked on a journey to at least taste test their teas and salads. I got the coupon from my Belle de Jour planner (click HERE). I only paid for the salad, iced tea was free. It was served cold with the spiral noodles on. There were chunks of chicken plus cucumber and sayote (not so sure). Lettuces were the majority. Here's the deal breaker: I once thought the pinkish sprinkles were pomelo (suha) shreds, only to find out it was RAW ONION! Harrummmph! I ended up nitpicking the whole plate. Regular Php 79. Family Php 255. 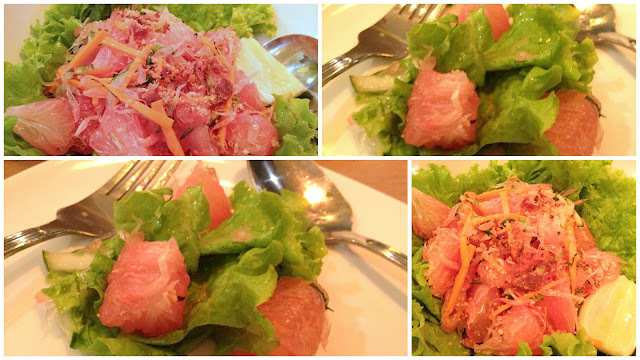 This was by far, the most affordable fine dining salad I've ever tasted. I've been a fan of this salad since 2008 and I'm happy to divulge that this is one of the first salad I've eaten (I don't eat anything leafy before). 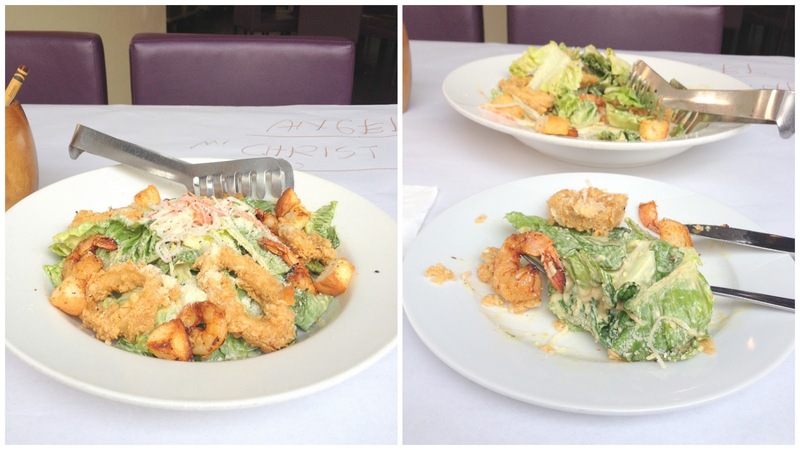 They have crisp romaine lettuce, bacon crumble, parmesan cheese, and herbed croutons tossed in our caesar dressing. I love their dressing. Picture above was a family bowl (good for 4). If you're on a diet, this can keep you going for a day (or half, depends on your appetite). You can also request to take out what's left and ask the lovely waitress fro a second helping of dressing. After eating these, you'll be full, guaranteed! Bonus: You won't find yourself craving for junk food after. Php 100+ for a grande cup. This is a comforting herbal blend of chamomile flowers, hibiscus flowers, spearmint, lemongrass, rose petals, blackberry leaves, peppermint, sarsaparilla, lemon balm, licorice root, and natural flavors. This blend is a light, soothing beverage with the sweet, floral taste of chamomile and a smooth finish. Another first! I opted to try a non-caffeinated tea since it was already 9 pm-ish when we decided to go for Starbucks. Set your expectations right, it's a tea and it tastes like one. Barrista handed me 2 packs of honey for sweetener. What I loved most was the AFTER-EFFECT! I released all the oil and toxins I've consumed the entire day! Released via nature's call, if you know what I mean. Very refreshing inside and out. I noticed that I've slept more soundly that night. I've been a fan of Mary Grace since last year. In fact, most of my lunches happen there in between classes. I find the place so cozy and relaxing. I've decided to try their Caesar salad since my friends highly recommend it. Tab is Php 270+. You might say it's overpriced and I can't argue with that. However, the plate has so much in it. You can request that they serve the half dine-in and half would be to-go. That's possible! If you're into one of those "I'm-so-starting-my-diet-now!" days, this is a soft start for you. You wouldn't feel deprived at all! To check out the full taste-meter, click HERE. Php 420+. To share. For a salad. I'm serious! Before you judge, you need to try it first. This is my favorite of them all, however, since Burgoo is rare, I'm settling on its competitors. That plus the price factor. A major comfort food with no guilt aftermath! Their shrimps and squids are so delicious. 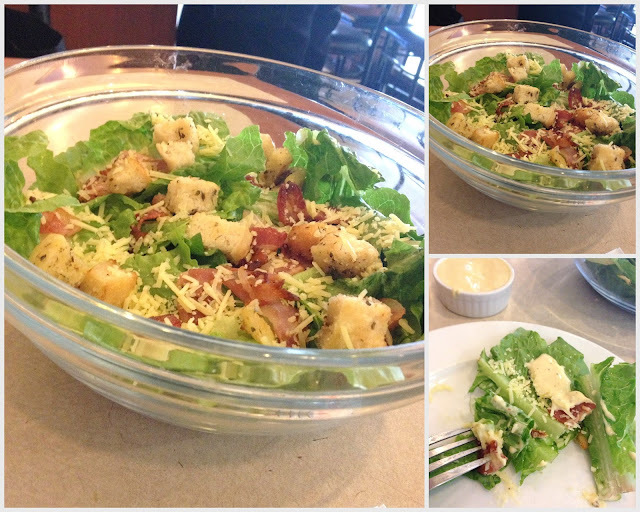 Can I just say, it's as good as taking a full lunch (with your green leafy veggies)? Click HERE for my detailed review. Hope you got your eyes (and tummy) full after reading this post. Life is too short. Eat, drink and be merry! -CMK.